Ad copy crafted so right your messaging can't go wrong. Efficient, effective copywriting is strategic writing. It’s meticulously designed to achieve an objective. At its heart is a well-researched and careful assessment of the intended target. Winning copy achieves maximum effect using minimum word count. It can be funny, clever, and/or informative. But above all, it’s persuasive. It motivates people to take action. Bottom line: Good copy sells. Call us to discuss how our strategic wordsmithing expertise can be best put to use to promote your business. Contact us today to learn more about our copywriting services. Effective website copy conveys professionalism, promotes trust, and engages the reader immediately. It gets right to the point. Conveying pertinent information with a minimum of the superfluous, it must satisfy two audiences: your website visitors and search engines. The value of successful SEO copywriting can’t be overstated, but the quest for high SERP rankings can’t come at the cost of copy that falls flat and fails to engage, persuade and move the reader to take action. Your business’s website (specifically the homepage) is often a prospective customer’s first interaction with your brand, so it must impress. It must also seize every opportunity to create a connection with a potential customer. But writing high-quality website copy requires time and skill. If you’re lacking either, give us a call. We live in a world of landing pages, A/B testing, and search engine optimization. The steady (and ever increasing) transition to all-things digital means that the coveted perch print ads once occupied high atop the marketing ecosystem now belongs to PPC and social media. But they still have an important part to play, especially if your small business targets readers of a locally-produced print publication. Print ad copy is not easy to write (well) and usually shouldn’t be attempted unless you’re a highly trained professional, or unless you can afford to hire a traditional advertising agency. But if you can’t afford that option, and are a small business owner or an over-worked marketing professional trying to do a hundred things at once, give us a call. We’ve got the required knowledge and experience crafting print ad copywriting that sells. And we really love to do it! Digital advertising/marketing and PPC (pay-per-click) technology grows more sophisticated every day. And in the advertising world, the textual content of your ads, including the headline, body copy, sitelink extensions, callouts, structured snippets—even the display URL the ad links to—all of it, is copywriting. And it had better be good (i.e. efficient & effective)…or else you’re just making charitable donations to Google, Bing and the like. Fortunately, the digital ad copywriting experts here at Island Light Creative know a thing or two about how to craft efficient, effective ad copy. And we’d love to show you what we can do. Clever subject lines, catchy headlines and other elements of good copywriting are essential for grabbing a short attention span. Short and concise CTAs motivate people to act. A few examples of effective CTAs include: Book Now, Buy Now or Sign Up Here. They can take many forms. But all CTAs must clearly tell your subscribers exactly what you want them to do, using active language. Landing pages are standalone web pages that your email subscribers (or potential email subscribers) can “land” on when they click through from your emails. They are some of the most important pages in the world of online marketing. Because you’re paying for every pair of eyeballs that land on the page. You’ve invested time and money in the design and execution of the email campaign, for the design and programming of the landing page itself, and for the ability to track and report on its effectiveness. You need your landing pages to convert. And what most often spells the difference between success and failure? Starting with a headline that attracts attention and gets the user to stay on the page, to the all-important CTA (call-to-action) that tells the reader exactly what you want them to do, the copywriting has to be perfect. 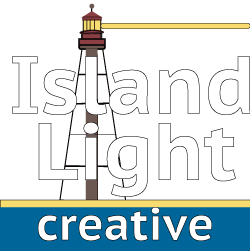 Call the copywriting pros at Island Light Creative; we’ve got the talent to get your landing pages clicked-on and converting. These days, small businesses can’t afford not to advertise on social media. And copywriting plays is an important role here, just as it does in other forms of digital advertising. According to an annual Forrester study, 35% of US adults surveyed reported social media as the source for finding a website to visit in 2017, up roughly 10% from 2012. In this same 5-year time period, the use of search for website discovery decreased by nearly a third—from 59% in 2012 to 38% in 2017. A 2017 consumer survey found that 76% of US consumers have purchased a product they saw in a brand’s social media post, with 11% buying online immediately and 44% buying online at a later time. If that’s not enough to convince you of how important social media ad spend is becoming these days, we’ve got more. Flyer & brochure copywriting (like any other form of copywriting) must do more than merely inform the reader about your business and its products and services. Everything from the font choice, use of color and graphics, to the copywriting itself needs to engage and persuade. Since purchase decisions aren’t usually steeped in logic, listing features and benefits and other pertinent information won’t be enough to motivate someone to buy. Instead, the copywriting used for your flyers & brochures has to penetrate the heart, instantly cutting to the chase, and evoking an emotional response. Otherwise, they don’t get read and certainly wind up in the trash (or the recycling bin, hopefully). And your precious investment in their printing and distribution is lost down the drain. Give us a call. Although old-school, flyers & brochures have the potential to be incredibly persuasive advertising tools when the copy is done well. And we’ll be glad to help with that.